I love nail polish. I mean I LOVE NAIL POLISH. I will shout it from the mountaintops, and I will never not at least stop and pause to look at a bottle. One of my favorite brands has been Smallish Polish. They’re a small indie polish maker that has really nice quality stuff that’s great for adults. After a hiatus for a while – a long while – they’re back! I’m going to tell you – this makes my heart go pitter patter. And rumor has it, they’ll be firing up their fab subscription box in January! YAY!! Anyway…We have a great prize for you! We’re giving away a deluxe edition of the Smallish Polish 2015 Christmas set. This includes 6 bottles of polish and three nail embellishments. This set retails for $45. What’s in it? I don’t know yet! Mine is supposed to arrive at any moment, and I’ll switch out the photos. Smallish Polish has the philosophy that you don’t necessarily want a huge bottle of every nail polish, so they package in smaller bottles. Have you ever used up a whole bottle of nail polish? Maybe just a couple times. They usually get yucky and go out of style before you use it up. 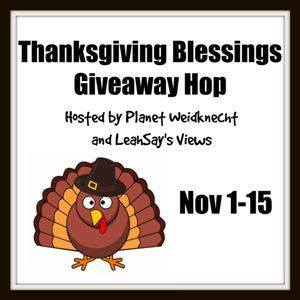 This giveaway is part of the Thanksgiving Blessings hop, hosted by Planet Weidknecht and LeahSay’s Views. Each blogger participating has a giveaway prize worth at least $25. So you’ll be sure to want to hit ’em all! Ready to enter? Do so in the Rafflecopter widget below. Now hop on along to everyone else’s giveaway, too. I like muted pink with a hint of brown. My color is blue. Hope I win. I usually like the bright pinks and purplish pinks. I have a cobalt blue polish that I love. I love wearing pink nail polish! I love reds and pinks for nail polish. I really love bright colors! Pink might be my favorite but I like them all! Red is my favorite nail polish color. I usually wear a ballet pink. I like bronzes and slightly orange toned neutrals. I usually like coral colors, but I think the bright colors are fun for summer and the holidays,. I love reds and blacks. My favorite nail color is plum. My favorite right now is a purple grey. I like pastel colors or tan colors. I love any nail polish with sparkles! My favorite color to bright red! There are so many beautiful color choices now, but I still prefer classic red. I’m a big fan of a very dark dusty rose/pink color. It seems to match everything! My favorite shade right now is Sugar Sugar by Sinful nail polish – it’s a red/maroon color! I have a lot of light pink colors. What I love depends on the season! Right now I am loving vampy colors, deep plums, forest greens, browns, and sparkles! I love eggplant – it is different but super chic in the fall. I love the browns. I couldn’t get stumble Upon to work . I’ll be back and try those entries again. I love red polish. My teens love experimenting with different colors. I love any pink tone (dark, bright,etc)! I like hot pink nail polish. My favorite is dark turquoise! I like the soft pinks or copper type colors. I hardly ever do bright colors. Right now, teal is my favorite everything color… nail polish included. My favorite nail polish color is black and super dark purples! I love taupe color polish. My favorite nail polish color is usually a medium pink! I do love wearing sparkly nail polish for my kids and something festive around the Holidays! My favorite polish color overall is coral, but I wear that mostly in spring and summer. In Fall/Winter I like red. I like pink nail polish. I love ’em all-I have to choose a favorite color? Impossible! The color I have the most of is blue-that must mean something,right?! I like pinks the most, but love all colors. So much fun changing it up. I like to wear the color pink – I really like bright colors in summer and darker colors in the winter. My fav is like a vintage rose pink. I love pale pinks and dark purples. I’ve been digging deep reds and dark blues.. nothing too bright. It’s true, I never use the whole bottle before it turns clumpy. It makes much more sense to buy a smaller bottle! I’m a nail art fanatic so I love most colors – right now purple is the favorite! I love dark purple polish! I like anything pink or red! I love any kind of duochrome, especially blue and purple ones. My favorite nail polish color is turquoise! I can’t pick one!! I love neutrals though! I like a deep blue color the best. My favorite nail polish color is blue. My favorite nail polish color is red. My favorite polish color is cherry red. My favorite is pink but blue is a close second. I’m a fan of purples. Especially lilac. Oh my favorite is a mauve color!!! I am drawn to colors in the purple/lavender family. I rarely do my nails, but I like pink and reds mainly. My favorite nail color polish is dark shades of purple. I like darker unusual colors. Red, you can never go wrong with a great red! 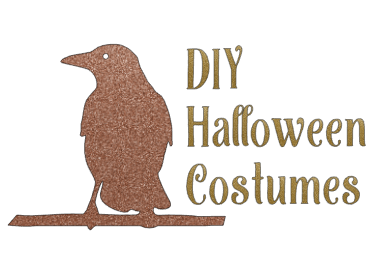 My current favorite is copper, it is lush and great for fall. I have a dark blue almost black color that’s my favorite right now. It changes a lot. I like coral. If you put on more coats, then it’s red. I think the color is Grand Canyon sunset. Lavender purple is my favorite nail polish color. I love teals and purples on my nails! I love dark blues, black, dark purple, light pink. I like my plain black polish the best. I recently bought a Chrome for my nails and I LOVE it!!! I like to wear silver or gold nail polish. I love orange polishes. The brighter the better! I like purple nail polish. I like pearly colors… Thanks and God bless! My favorite polish color is dark purple. Thanks. I love nail polish so much it is hard to pick a favorite. I do usually match my toenails to the tattoos on my feet, usually dark blues and reds. I change my polish often, but I like bold dark colors. I love purple nail polish. Right now, I love my China Glaze Glow with the Flow! My favorite nail colors are garnet shades. I am still old fashioned and love light shades of pink, my granddaughter who does her nails frequently (in high school) loves dark bright colors like green blue, orange and other fun colors. my favorite is any! 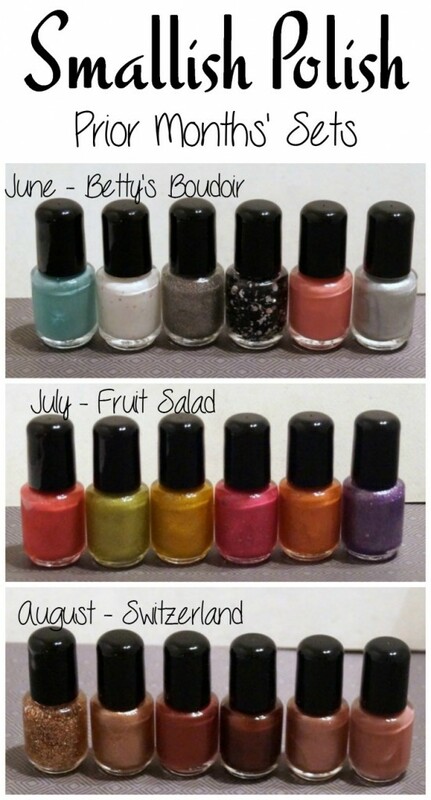 I am totally a nail polish junkie! I rarely use nail polish, but when I do, I choose a light pink. My favorite nail polish color is a rich, deep red. I like dark, edgy colors like dark blue, oxblood, dark purple, etc. I like pink shades of nail polish the best. I love the various shades of purple polish. I tend to do pinks or like a teal color more on my nails! I like pink shades the best. I REALLY LIKE RED POLISHES!